Fast, easy setlist reporting to PROs. Login to report live setlists for artists whose pages you're an admin or editor of on Facebook. 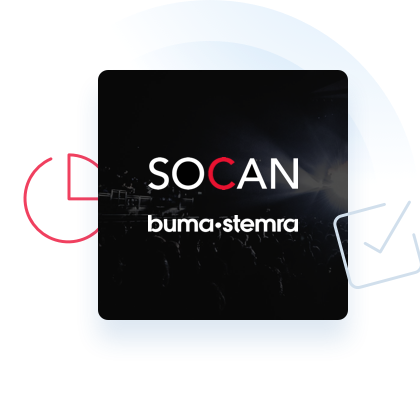 Add your PRO member ID, sync your registered works to Muzooka, and start building setlists to report. After a performance, Muzooka will notify you to report. Simply select your setlist and submit to your PRO! 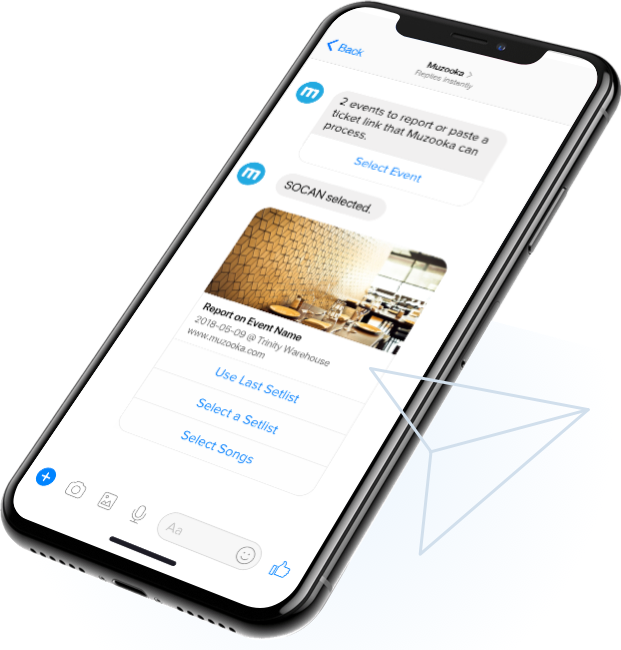 Report anywhere using Muzooka's Facebook Messenger bot. Report your live setlists in seconds using Facebook Messenger. 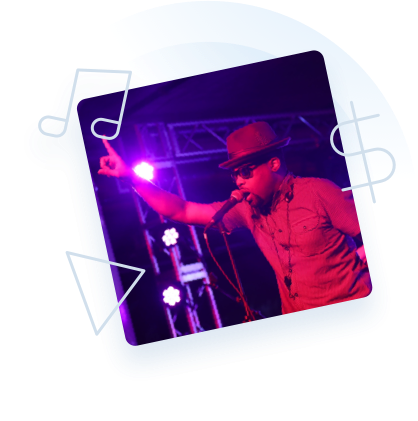 You will receive a reminder after your shows to submit a verified report to your PRO for proper live performance royalty distribution. Less than 5% of all concerts in North America are reported to PROs. That means millions of dollars are going unclaimed by artists. Muzooka is the most efficient way to ensure that the money collected by PROs for live performances is properly paid out to songwriters and rights-holders. A growing network of PROs. Muzooka is building a worldwide network of PRO partners in order to ensure that every show is properly reported and that live performance royalties are properly distributed to the songwriters and rights holders that earned them.